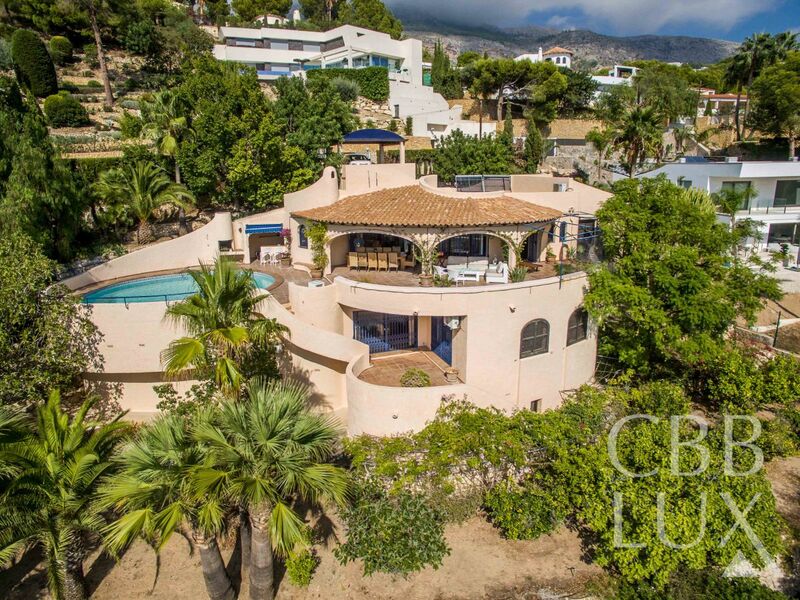 This very special villa is located in a fashionable residential area close to all amenities. The house has a living space of 530 m2 and has everything one could wish for. 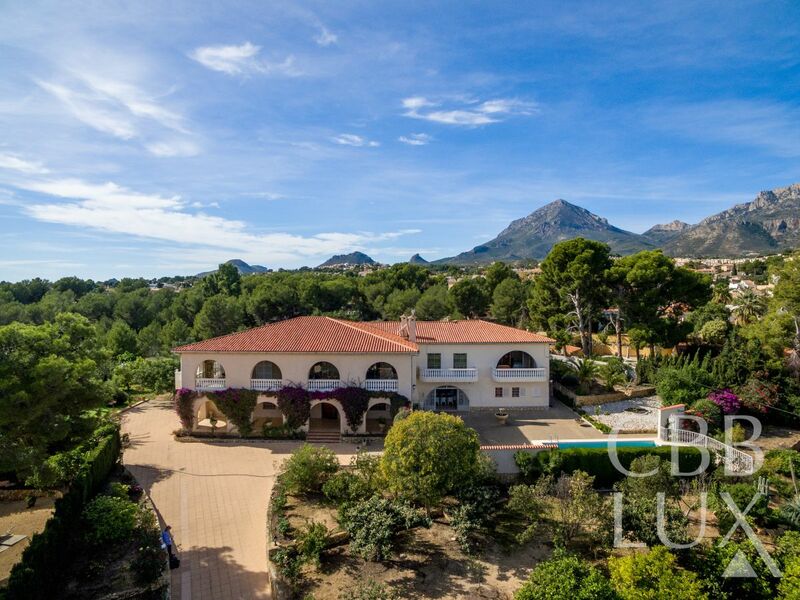 The villa is divided into two floors where you find a great kitchen and large comfortable bedrooms with bathrooms en suite. 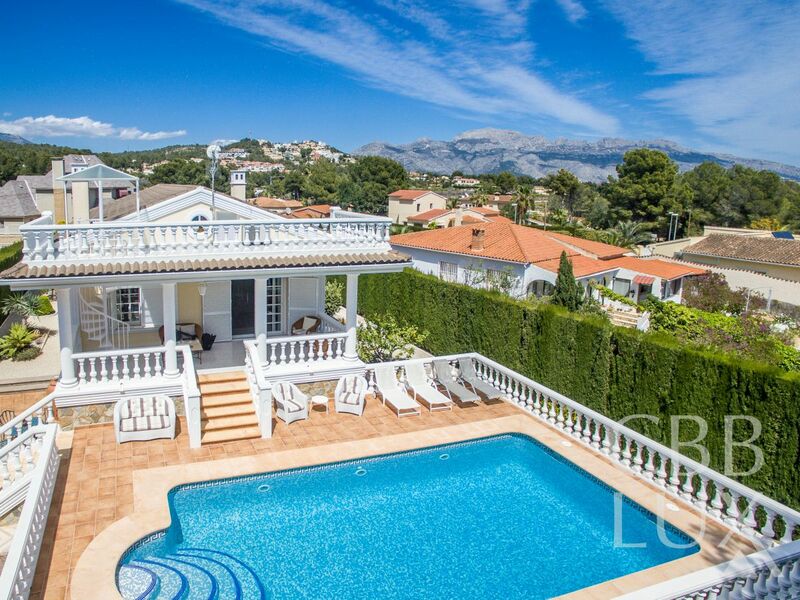 This unique villa is located next to the popular golf course in Altea La Vella. 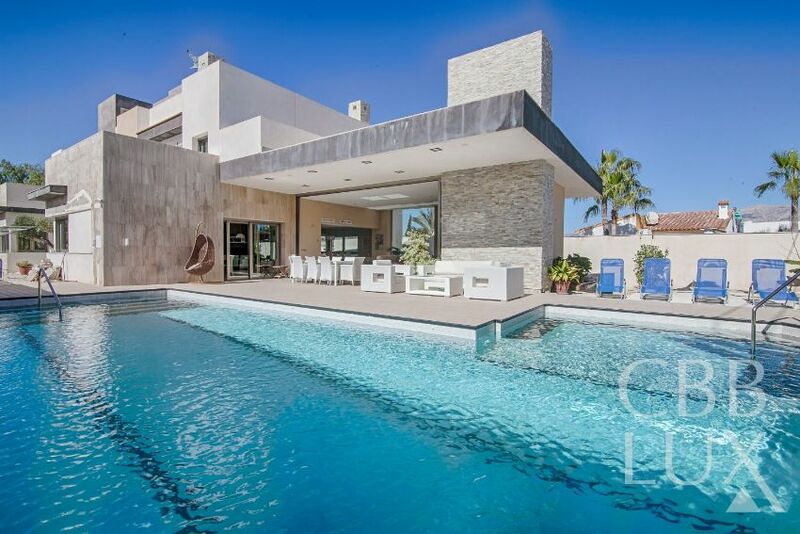 The property consists of 6 large bedrooms, 3 bathrooms, a beautiful lounge with dining area followed by the kitchen. Here is a very special villa, interesting for many people. 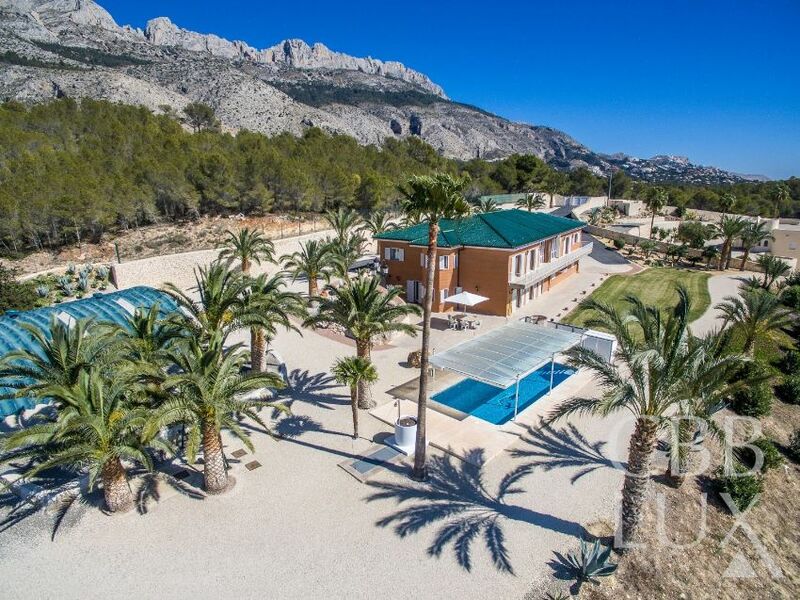 This unique villa is just a few meters from the Norwegian School in Alfaz. The house is of high standard and contains a total of 6 bedrooms and 4 bathrooms. On the first floor you will find 3 bedrooms, 2 bathrooms, a kitchen and a large living room with a fireplace. From the living room you have direct access to a large terrace. The house is distributed in 2 floors with the main house on the first floor. Through a large hall we access a big living room with a spacious kitchen. On the other side of the house there is a private area with 3 bedrooms and 2 bathrooms (one en suite). The ground floor has 2 bedrooms, a bathroom, a large bar for parties, a large garage, storage room and a cold room. 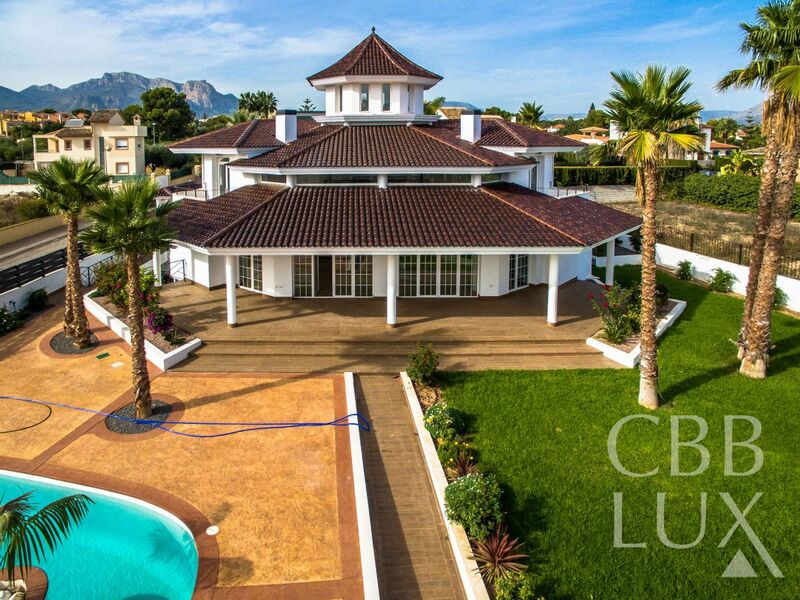 This exclusive and modern villa situated in the centre of the village of Albir was built in 2013. On the ground floor there is a spacious living room with dining area next to the kitchen, a guest toilet, an office and a bedroom. Upstairs there are 4 more bedrooms, all with en suite bathrooms. There is a beautiful solarium of 158 m2. The 400 m2 basement is currently used as garage and storage.